Foundation for Rural Integration Enterprises and Development (FRIEND) Director Sashi Kiran. Foundation for Rural Integration Enterprises and Development (FRIEND) Director Sashi Kiran says different ethnic groups need to work together for Fiji to move forward. “At the moment we are developing in si­los. We are not coming together to talk, we are not coming together to plan, we are not coming together to mitigate,” Ms Kiran said. The silo mentality basically means hav­ing several departments or groups within an organisation refusing to share infor­mation or knowledge with other depart­ments or groups in the same organisa­tion. 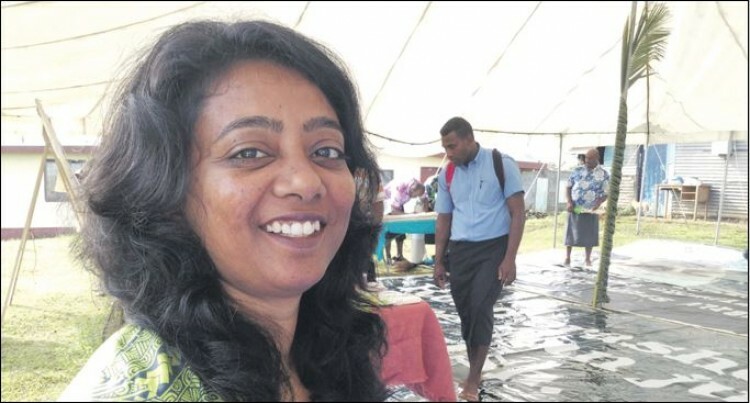 She was speaking during discussions for the Grassroots Voices on Governance and Development that was held at the Univer­sity of the South Pacific (USP) Lautoka Campus. Ms Kiran said at present the diverse ethnic groups in Fiji were developing on their own with their own unique systems. In addition, she said in one settlement one could see a group of people living on one side of the drain which belonged to another ethnic group while the other lived on the other side of the drain. Ms Kiran said both groups were affected by the same natural disasters and climat­ic conditions. “This will continue to happen unless we try and continue to understand and en­gage each other,” she said. Ms Kiran stressed the need for people of different ethnic groups learning and put­ting more effort in understanding each other, especially in terms of communica­tion and gaining each others’ trust. “The minute you lose trust, the develop­ment goes. Her comments were complemented by academic Wame Tabilai, who said, “We need to articulate to our native philoso­phy in order to enhance development”.